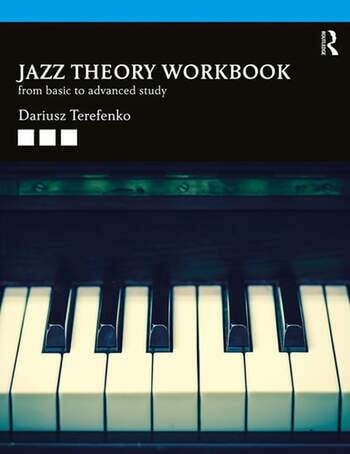 Jazz Theory Workbook accompanies the successful Jazz Theory: From Basic to Advanced Study, Second Edition textbook designed for undergraduate and graduate students studying jazz. The overall pedagogy bridges theory and practice, combining theory, aural skills, keyboard skills, and improvisation into a comprehensive whole. While the companion website for the textbook features aural and play-along exercises, along with some written exercises and the answer key, this workbook contains all the written exercises, as well as brand-new keyboard drills. It works in tandem with its associated textbook in the same format as the 27-chapter book yet is also designed to be used on its own, providing students and readers with quick access to all relevant exercises without need to download or print pages that inevitably must be written out. The workbook is sold both on its own as well as discounted in a package with the textbook. Jazz Theory: From Basic to Advanced Study particularly serves the ever-increasing population of classical students interested in jazz theory or improvisation.